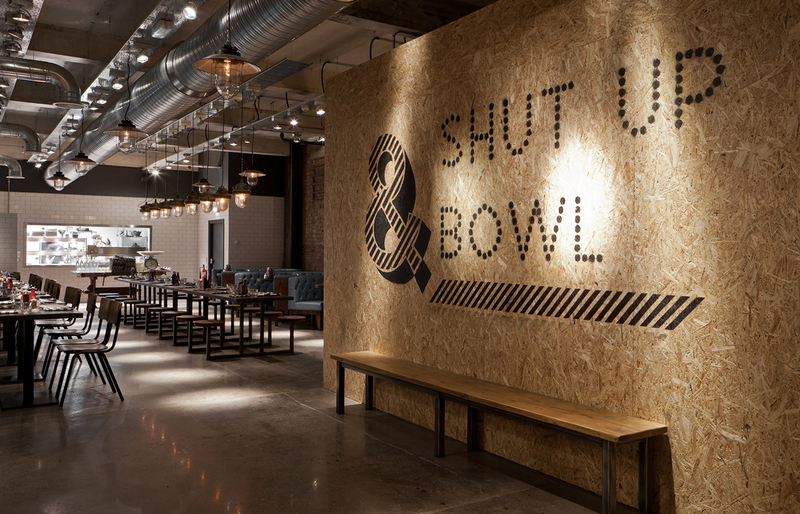 Forget everything you think you know about bowling alleys! 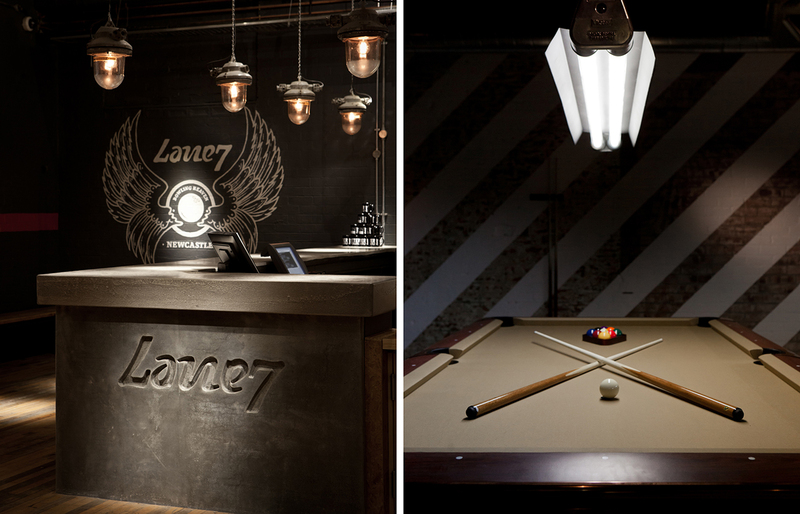 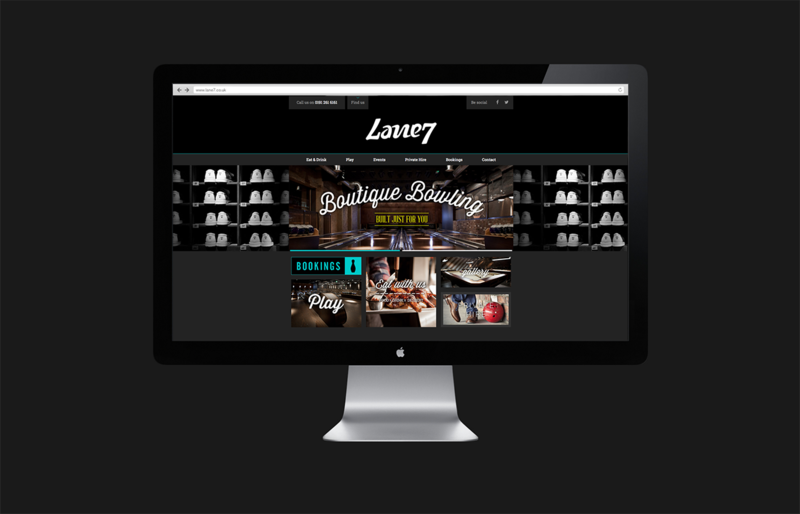 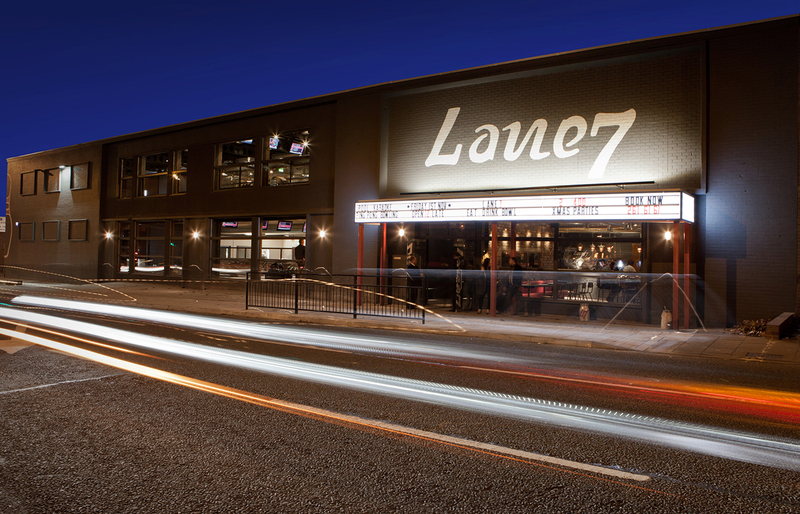 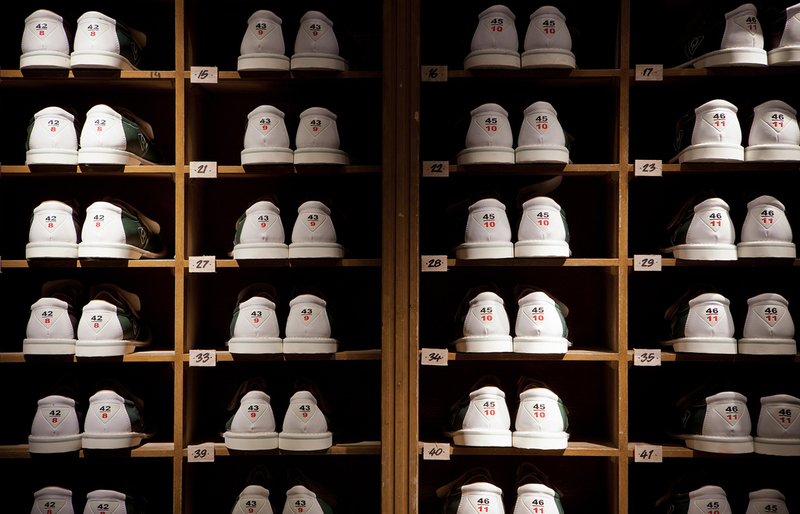 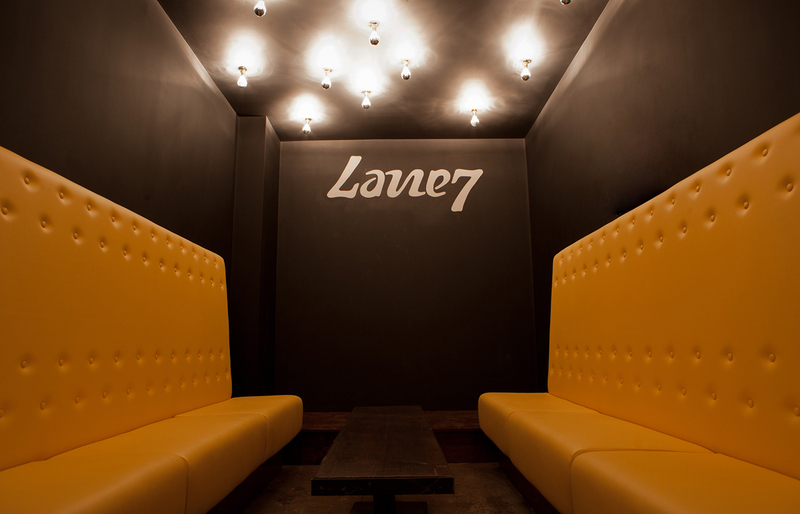 Lane7 is a boutique bowling alley that really has taken things to the next level. 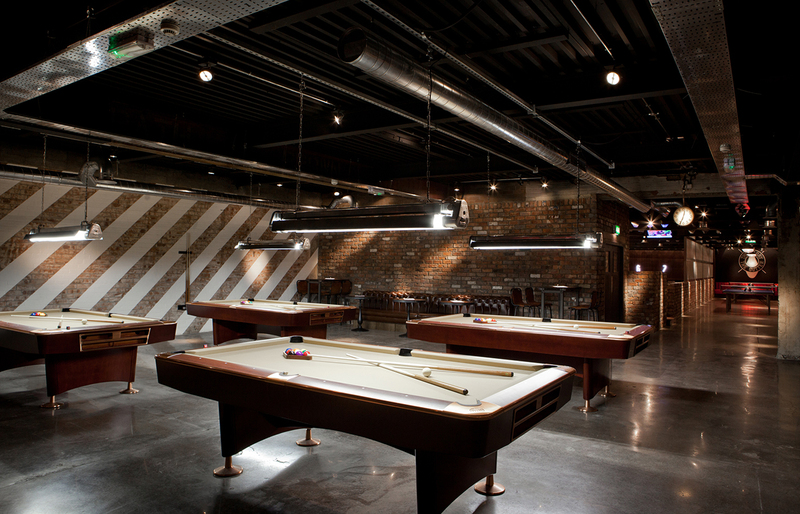 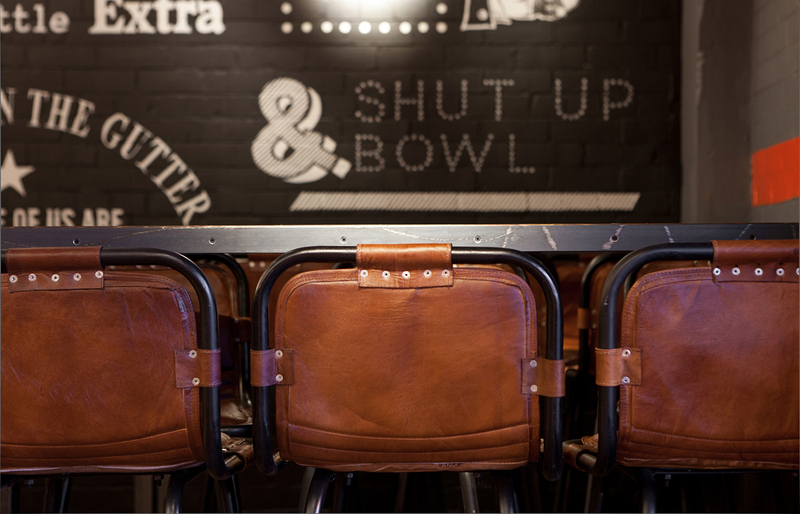 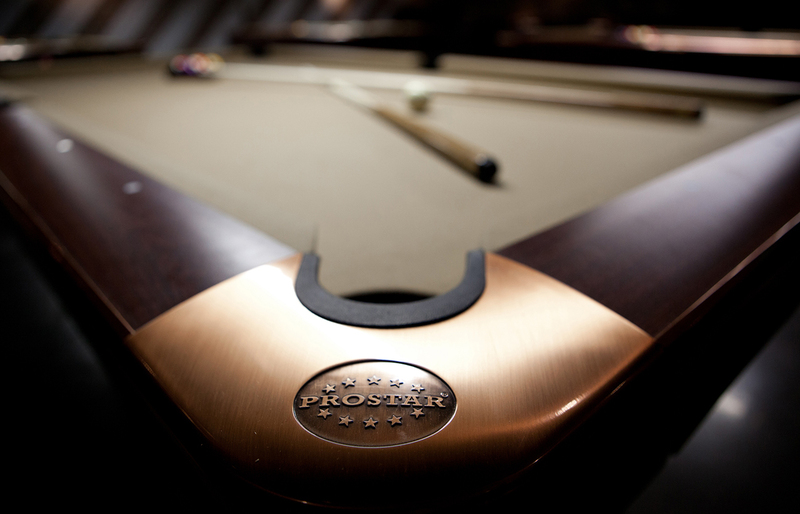 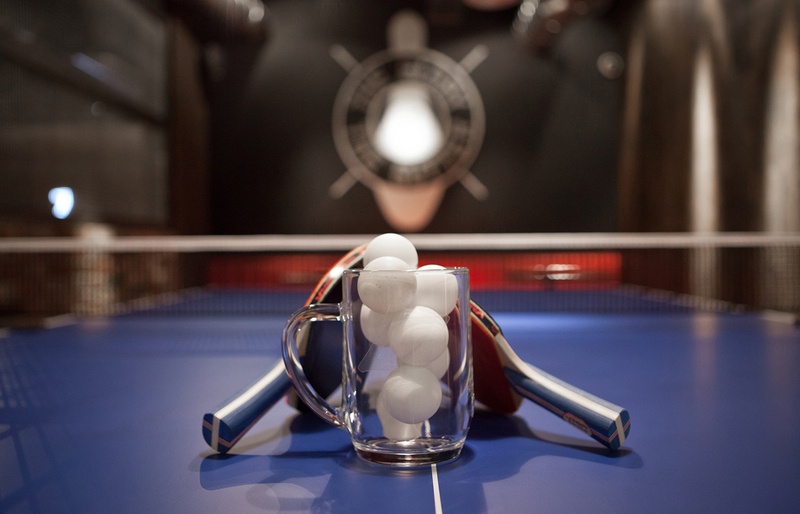 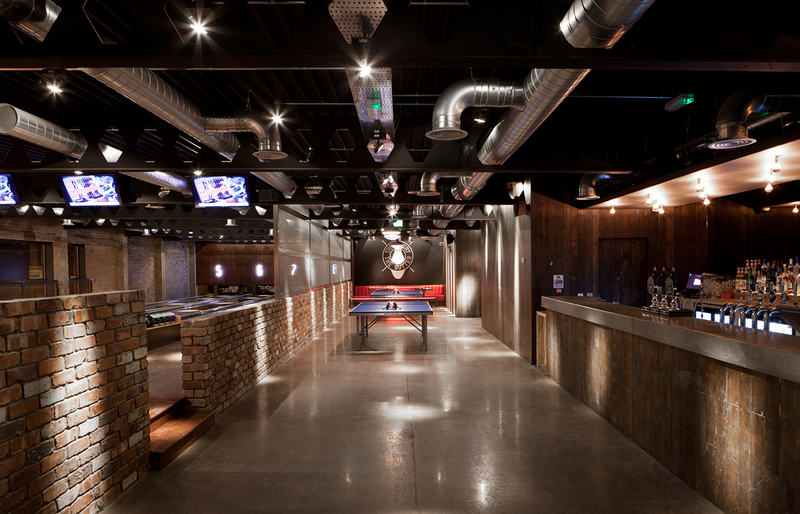 Boasting 3 bars, a restaurant, 8 bowling lanes, pool, ping/beer pong, karaoke, and 9 hole mini golf, Lane7 is a grown-up and chic hang out spot where any hipster would feel right at home in the ‘New York warehouse’ style interiors. 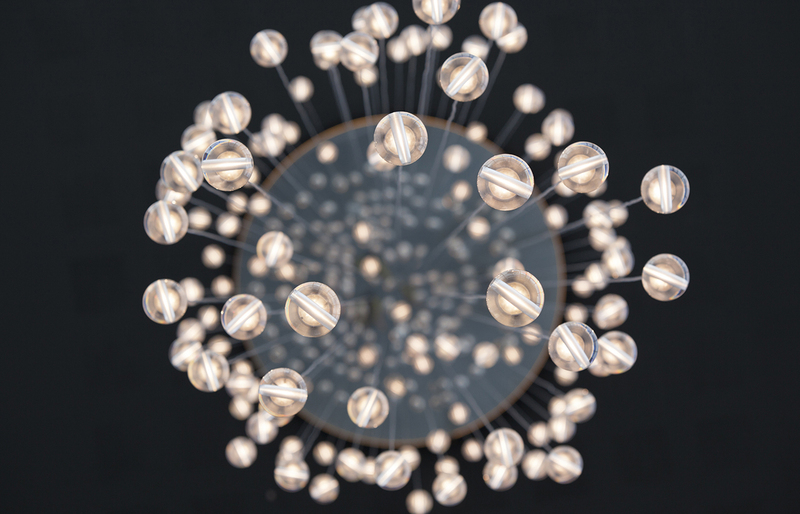 Owner Tim Wilks pulled in the best of the best to help bring his ideas to life; interior designer Julie Chambers, brand and design consultants Wonder Stuff Studio, and communications and PR expert, Christian Cerisola, and it really paid off. 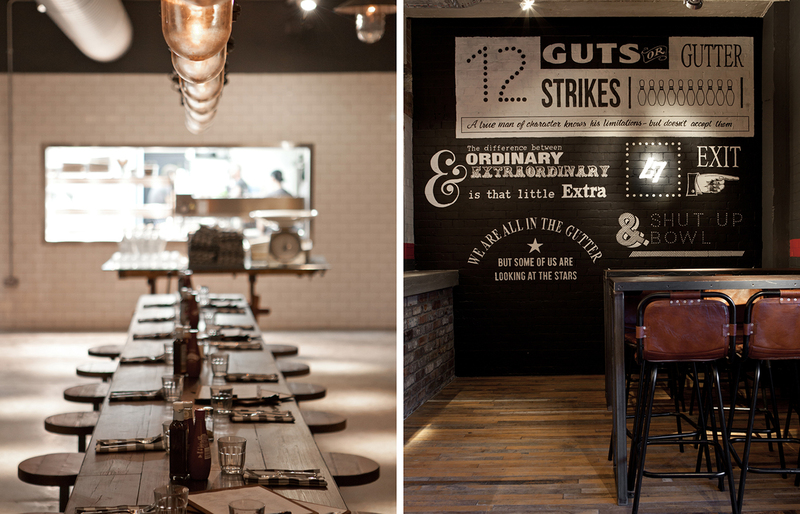 Brief: This place is right up our alley (sorry, had to get that one out of the way!) 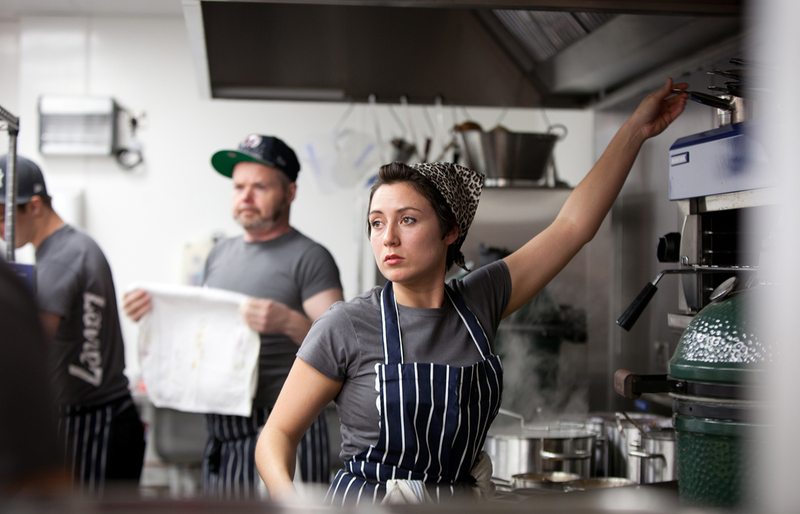 It was great to be involved right from the early days when it was just a shell/building site and what was to come existed only in Tim’s head! 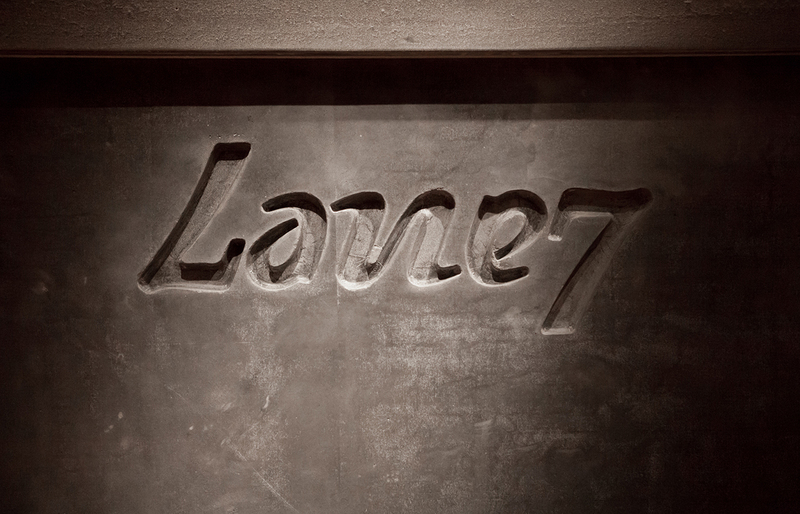 It was also a privilege to work alongside the crew at Wonder Stuff Studio, the design geniuses behind, among many other things, that very clever ‘flippable/reversible’ ambigram Lane7 logo (you’re checking if it works now, aren’t you? 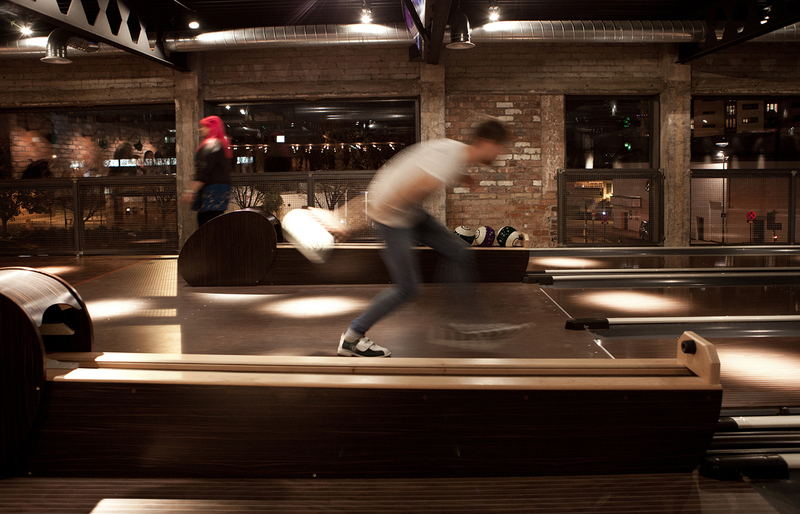 Told you it was cool). 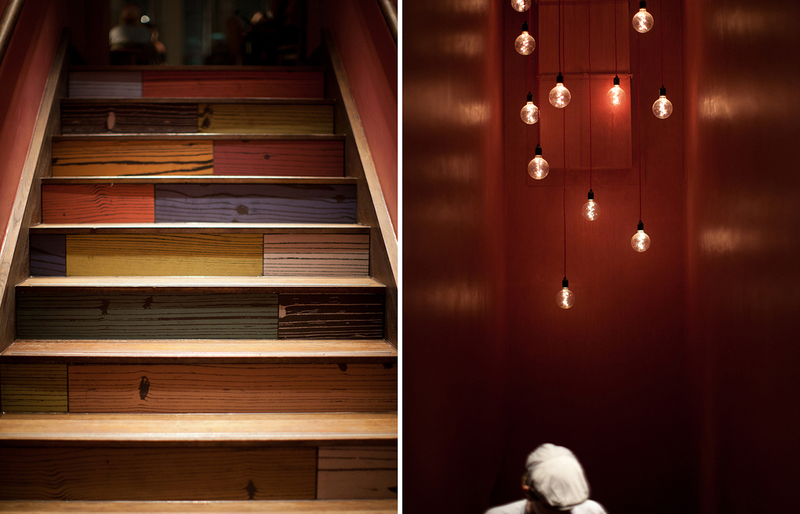 And it was a joy to capture the work of Interior Designer Julie Chambers, of Newton Hall, Tup Tup Palace, As You Like It, Tokyo, Mr Lynch fame (and MANY more). 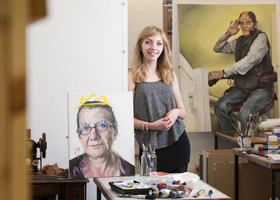 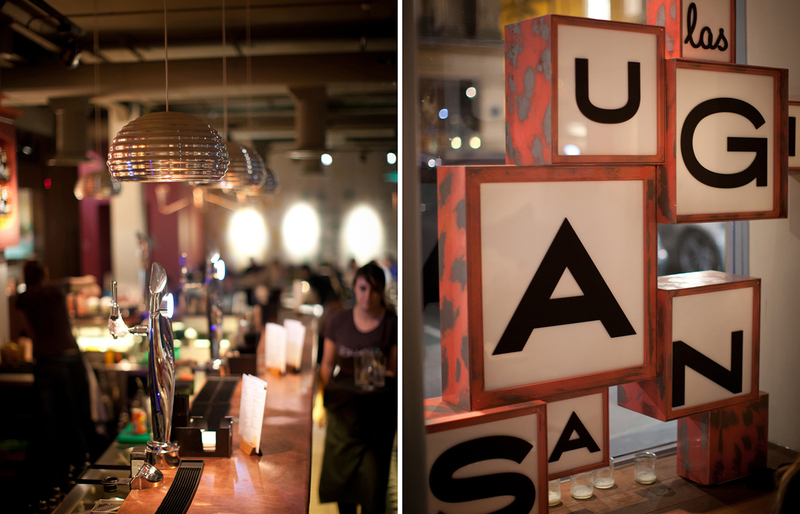 In fact, Julie seems to be single-handedly making the North East incredibly cool. 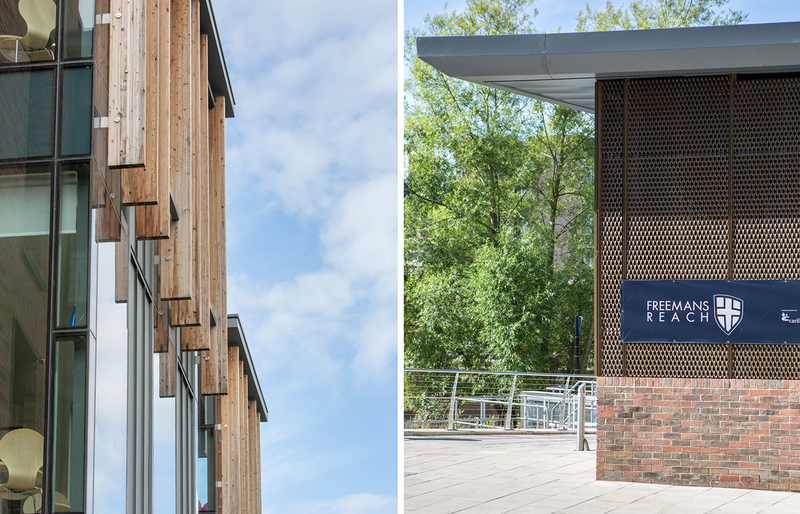 In order to sit well within the existing brand identity and the stunning ‘boutique meets industrial’ interiors, the style of architectural photography also needed to be cool and relaxed. 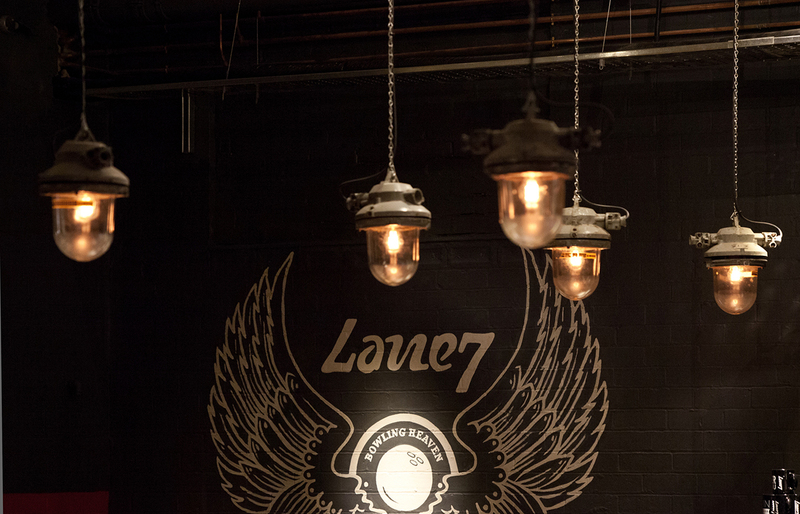 Using the well-thought-out lighting instead of flash, and capturing fly on the wall action of the staff and punters going about their business allowed us to produce a set of architectural photography-style images that have a real and genuine quality – just like Lane7 itself. 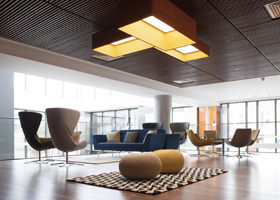 Crowne Plaza Hotels and Resorts is a global hospitality company operating in 52 countries, catering to the discerning business traveller. 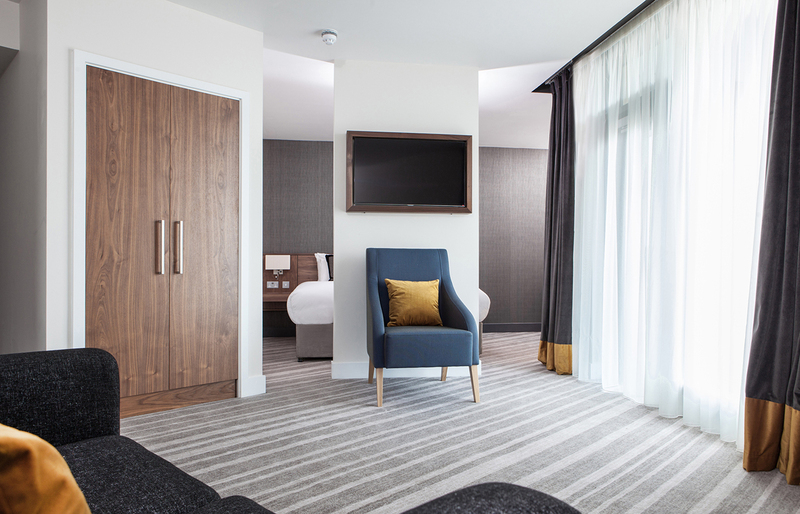 The latest jewel in the crown (see what we did there) being the 251-bed luxury hotel in Newcastle Upon Tyne’s Stephenson Quarter. 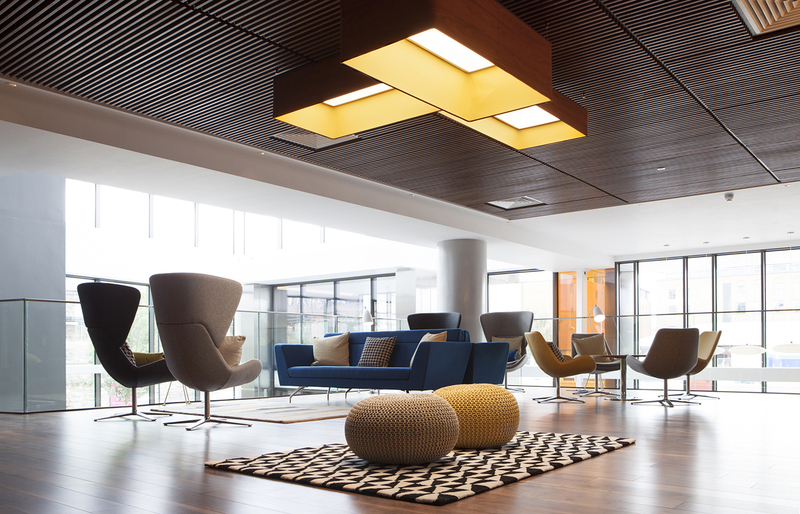 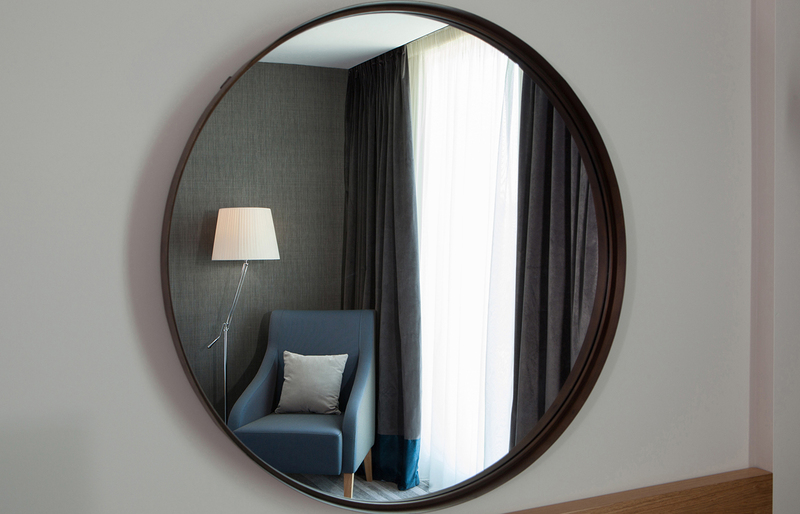 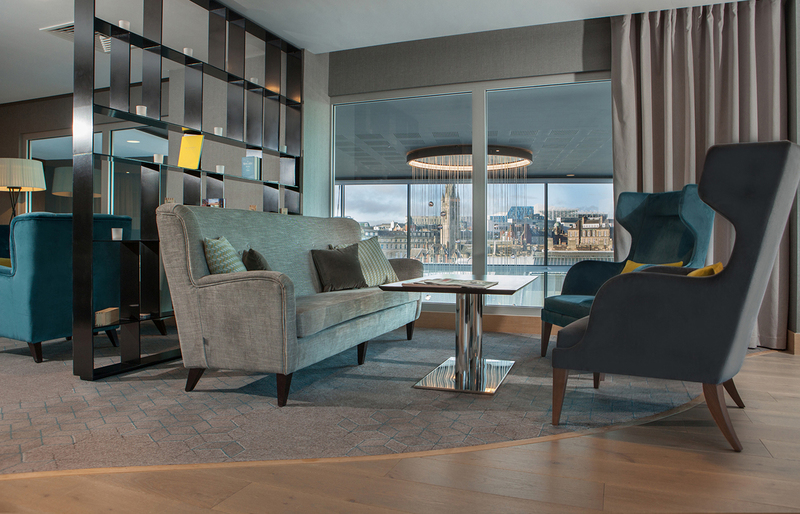 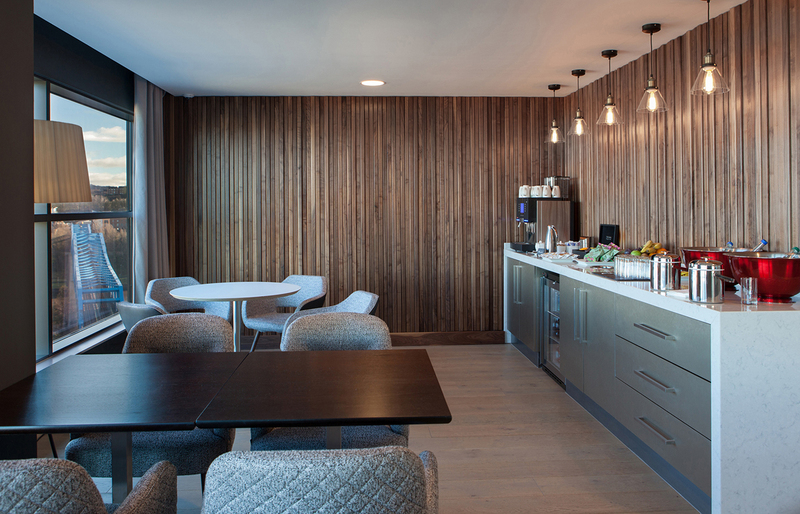 Interior design elements were overseen by the developer and hotel owner, Clouston Group, and combine to bring a modern, understated and elegant feel to the space. 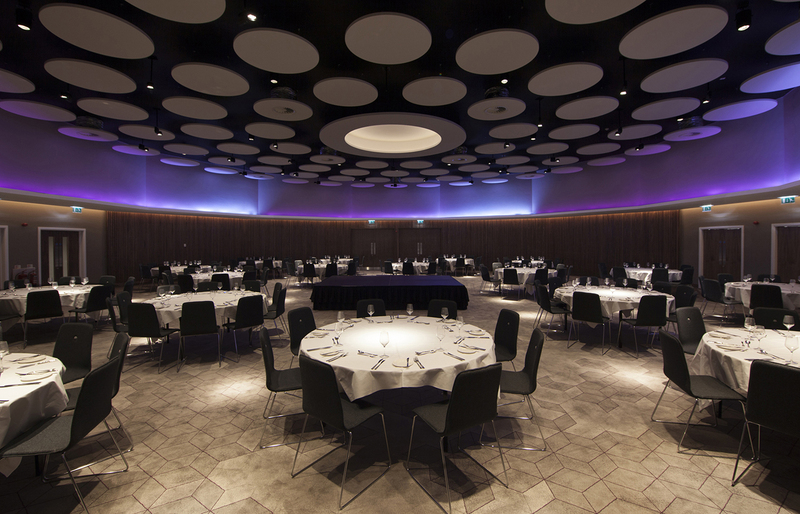 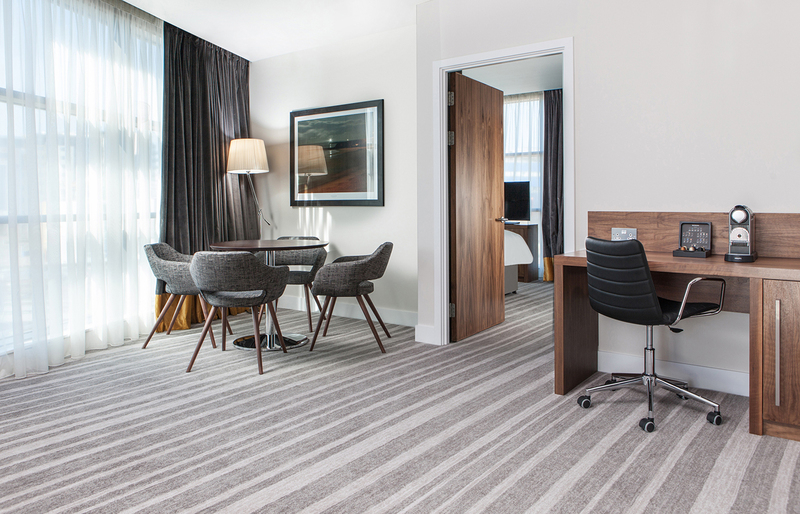 Crowne Plaza Newcastle - Stephenson Quarter required a suite of interior and architectural photography to capture the entire hotel for use across every imaginable marketing material. 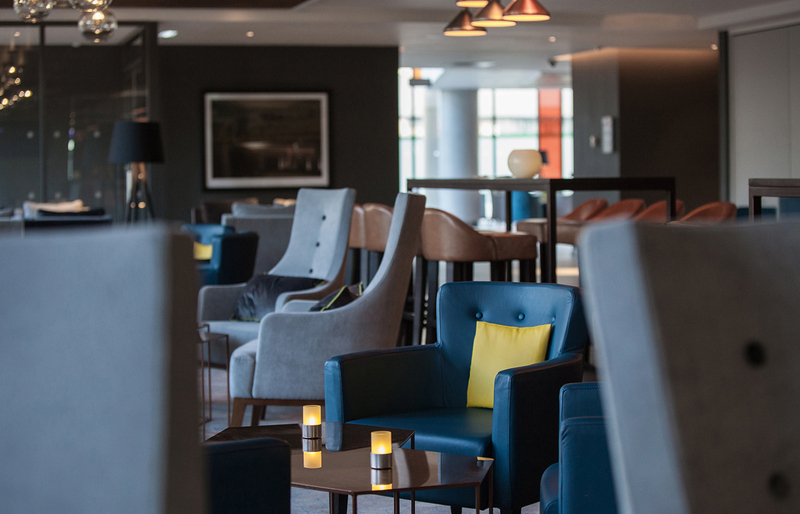 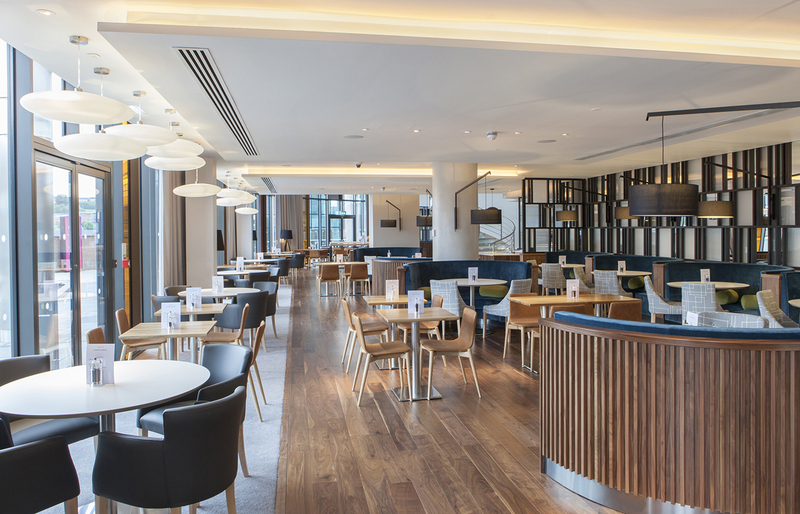 Brief: We were initially introduced to the Crowne Plaza Newcastle team by PR agency MHW, who represent property development company and hotel owner, Clouston Group. 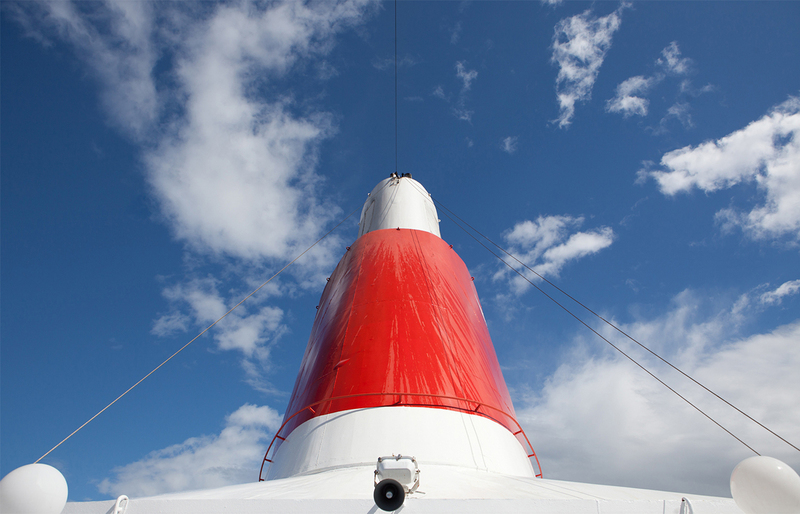 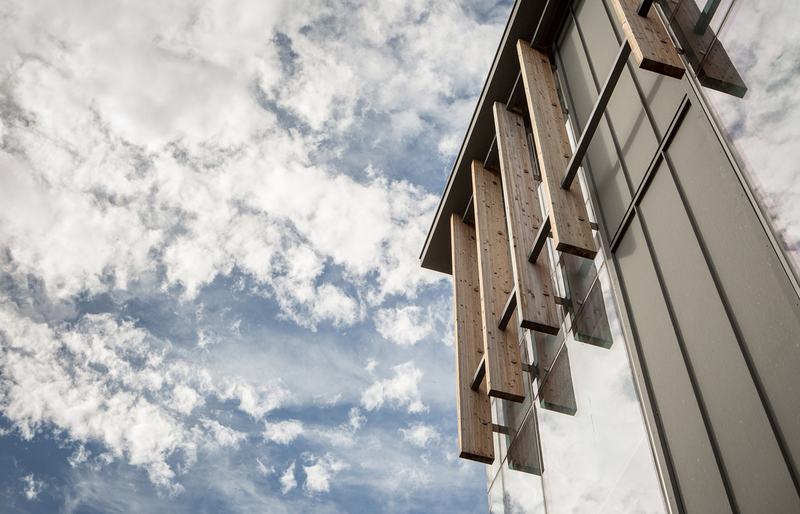 Being on site nearly fortnightly throughout the construction of the hotel, we saw it rise from the ground up. 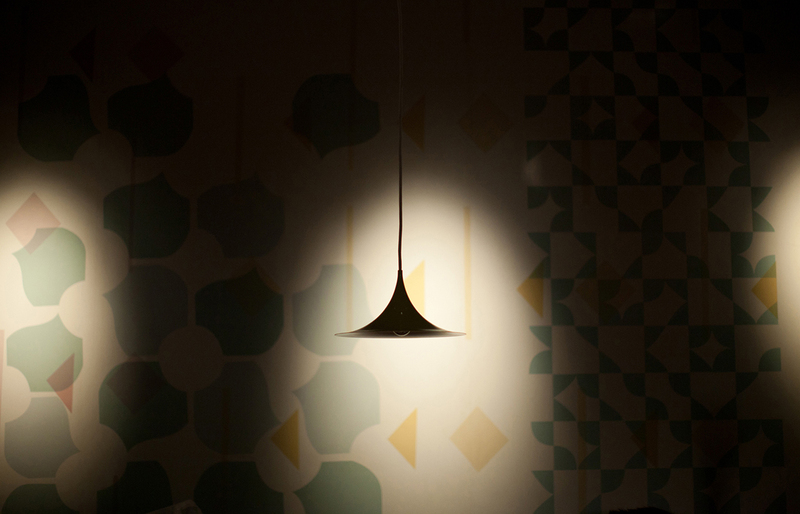 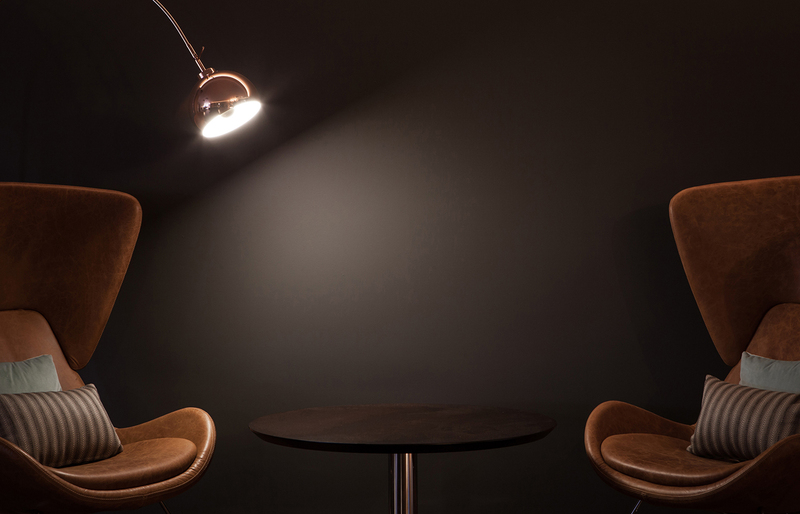 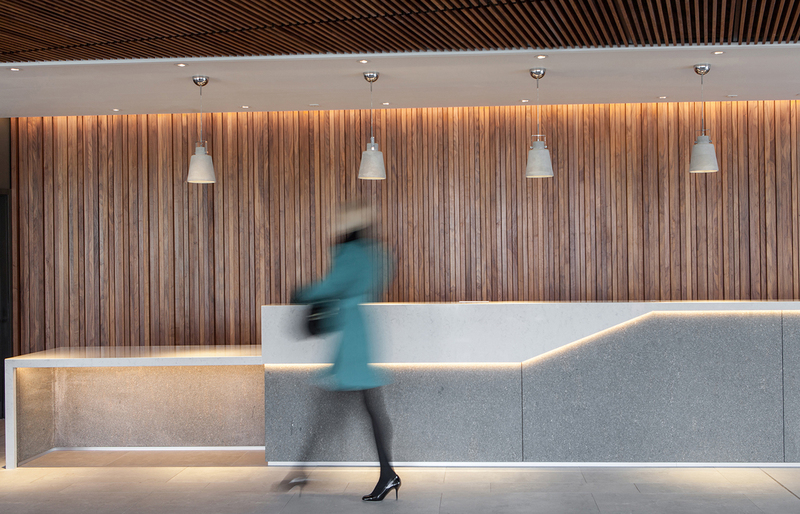 Once completed, we familiarised ourselves thoroughly with how the various spaces responded to different lights and times of day and we began planning the many months of shooting with painstaking care and precision. 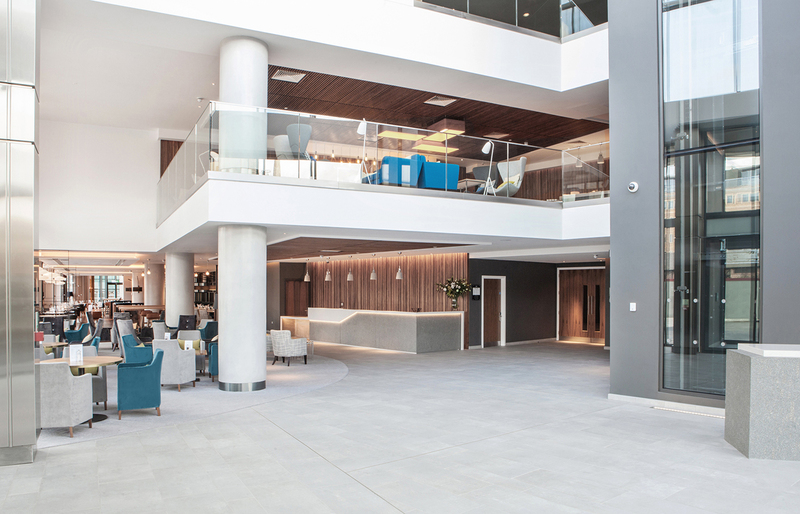 We also spoke at length with staff in each department to gain intimate knowledge of the hotel. 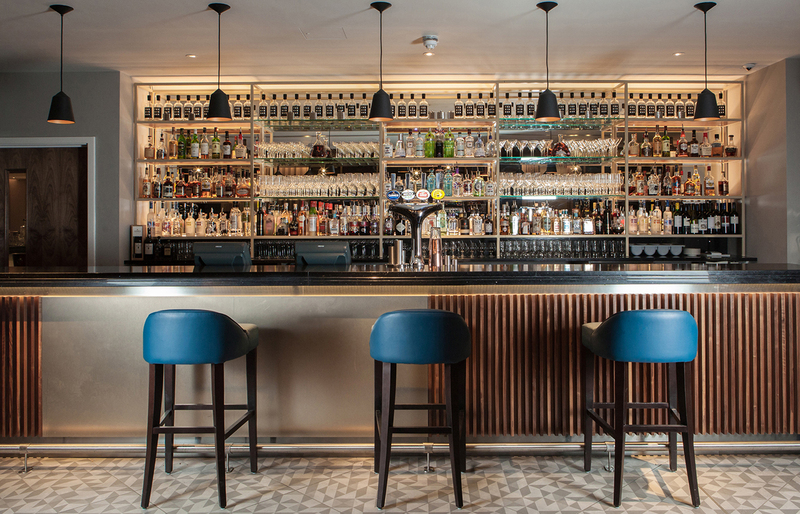 The ultimate aim was to draw out the character of the hotel, and thereby the guest experience, by paying particular attention to the architecture and interior design of the hotel rooms, entrance, meeting and break out spaces, Hawthorns Brasserie, The Gin Bar (click HERE to view our work) and the subterranean Mineral House Spa (click HERE to view our work). 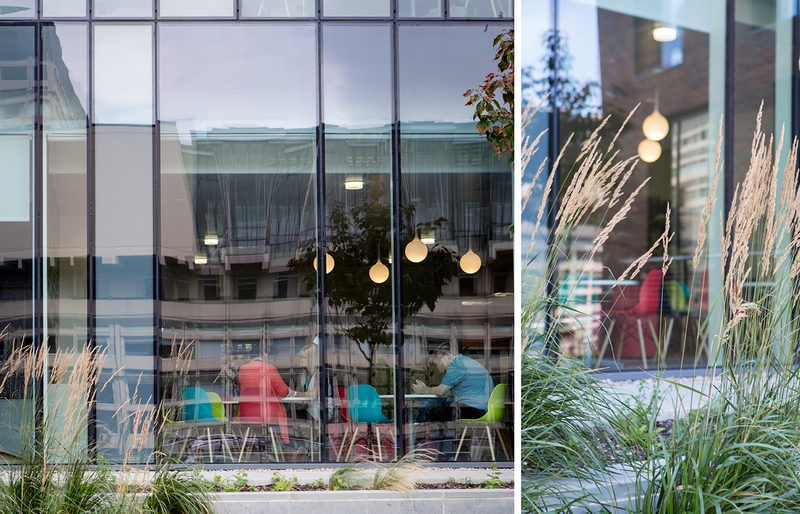 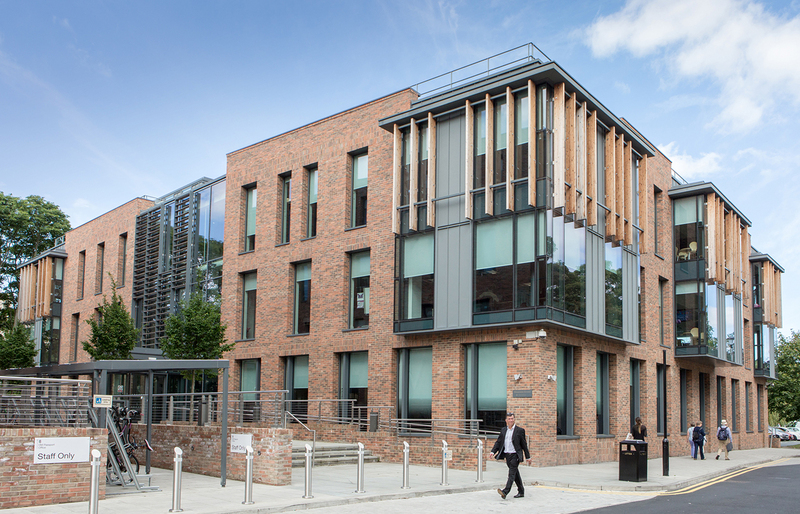 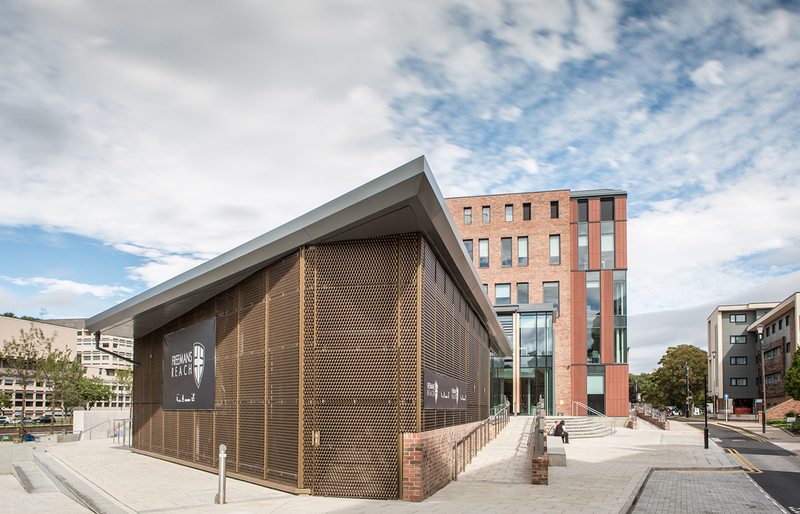 Freemans Reach is a £30 million office-led mixed-use development in the heart of Durham City. 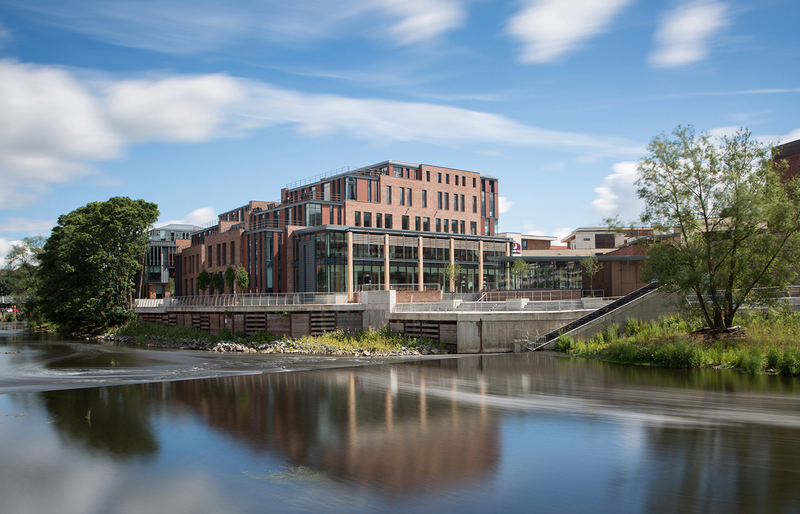 The development has regenerated a key site on the riverside and is home to National Savings and Investments and Her Majesty’s Passport Office. 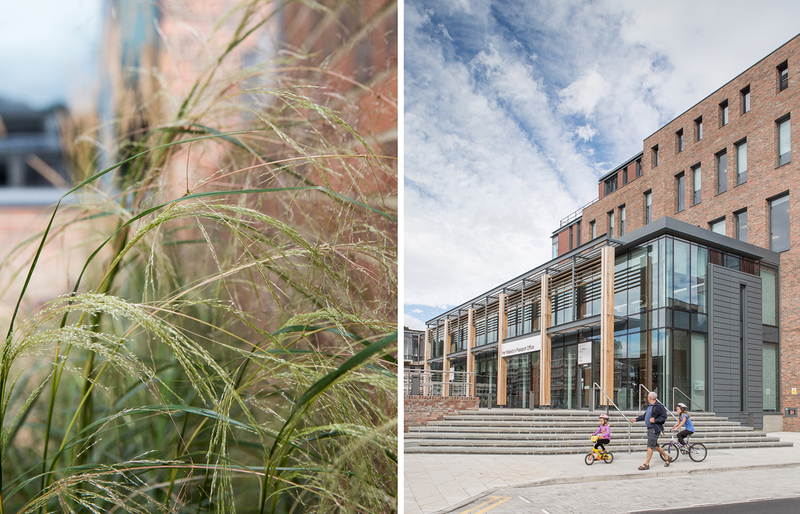 With excellent green credentials, it’s been awarded an ‘A+’ Rated Energy Performance Certificate and BREEAM* Excellent status. 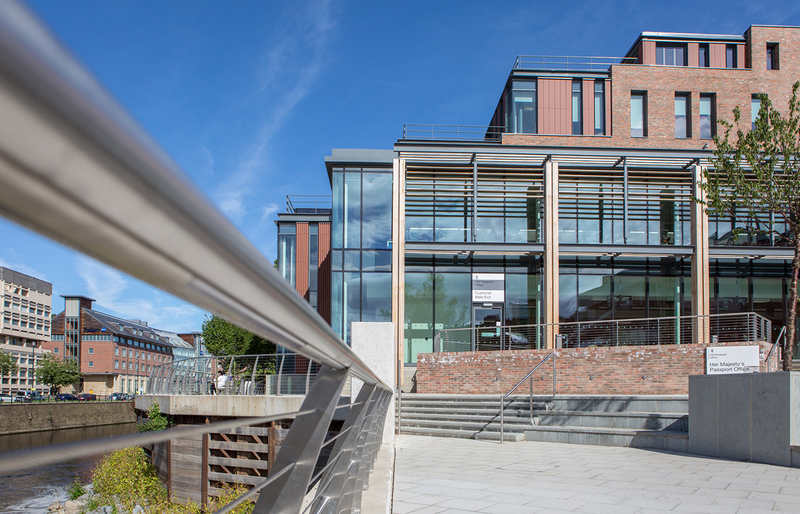 the River Wear, supplying 75% of the site's energy needs. 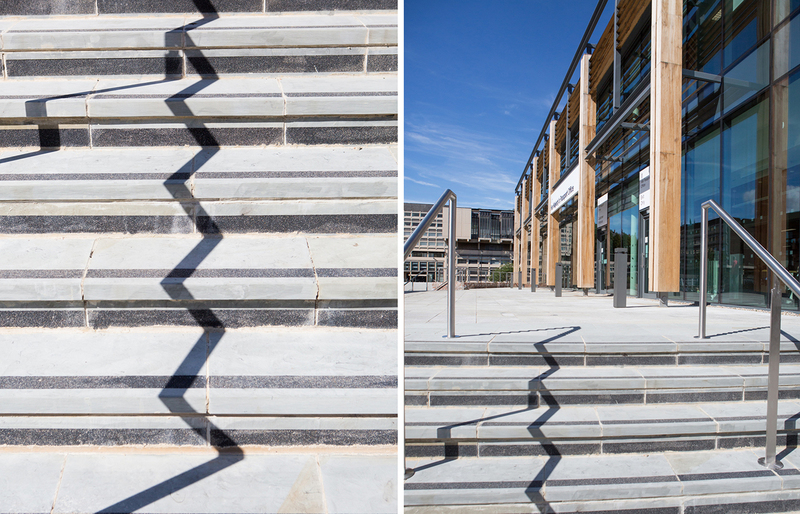 Brief: An architectural photography series to capture the unique setting of the riverside development, alongside close up and abstract images of carefully chosen building materials and design elements. 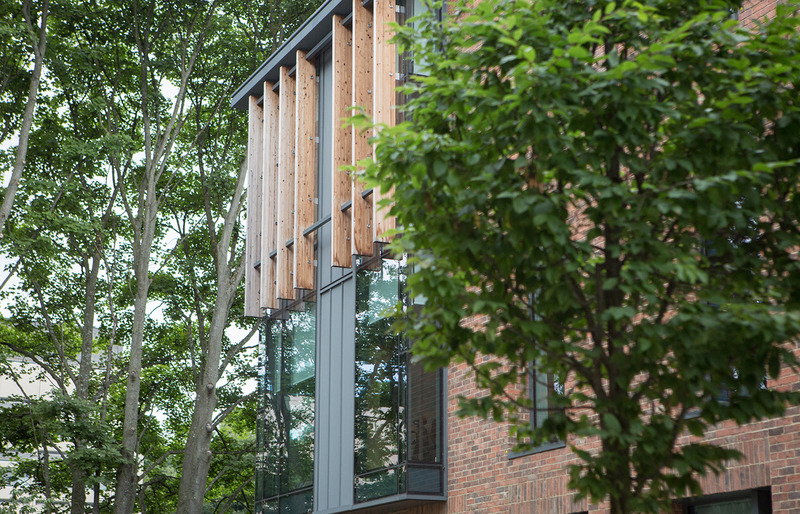 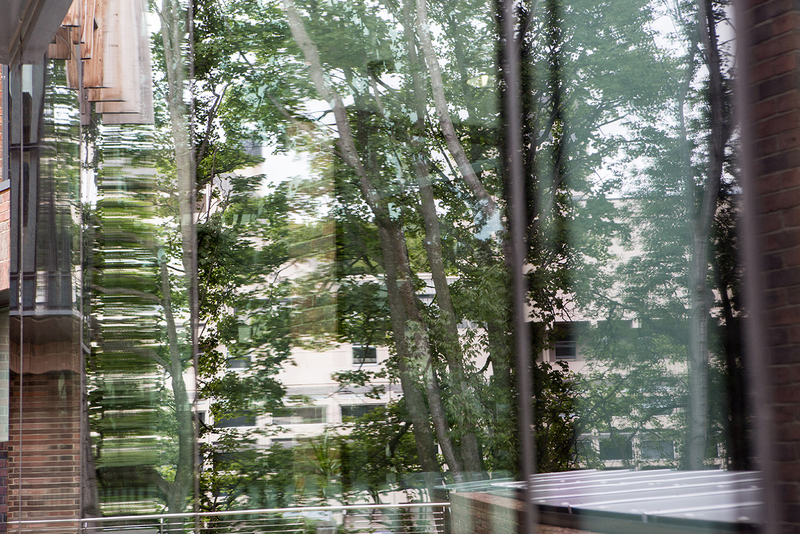 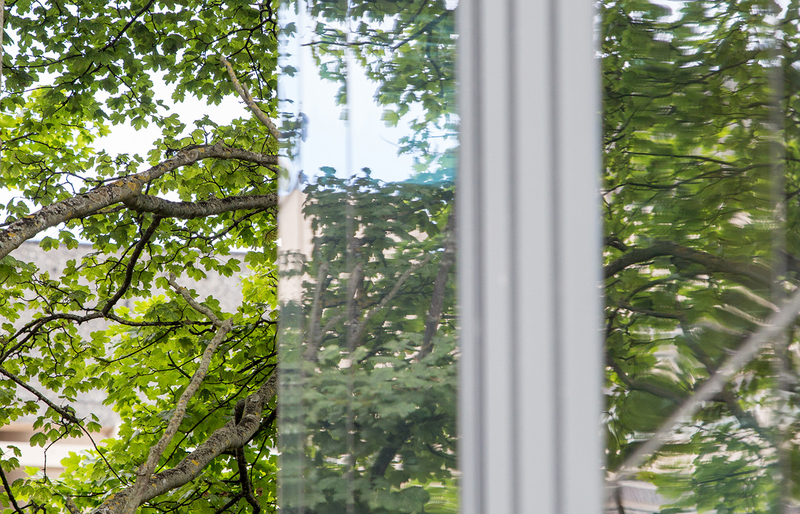 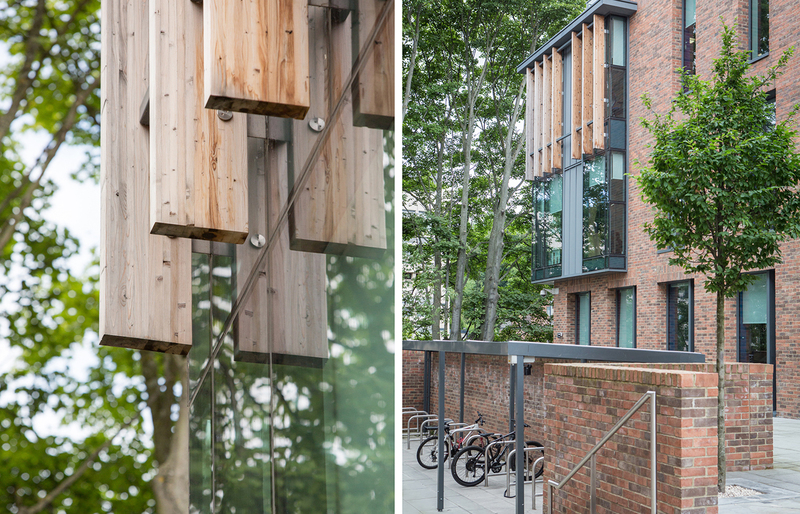 For instance, to integrate the building with the riverfront, as many of the existing trees as possible were retained and use of glass on the exterior creates a seamless connection between the building and surrounding greenery – this caught our imagination. 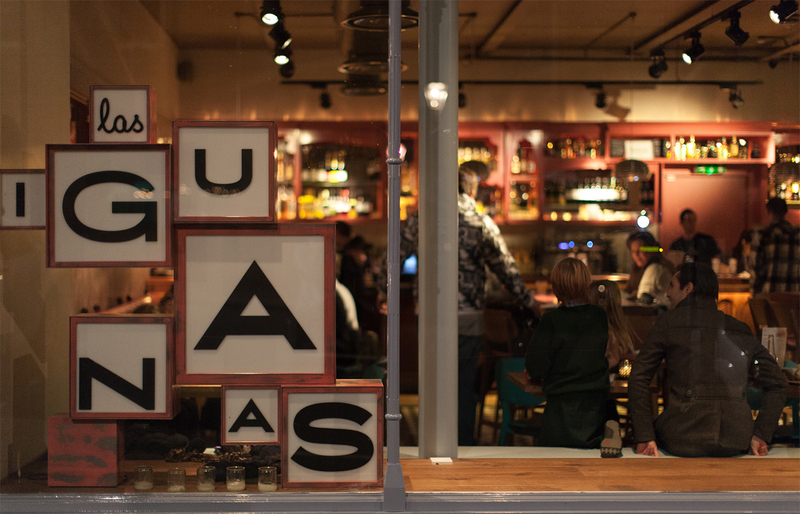 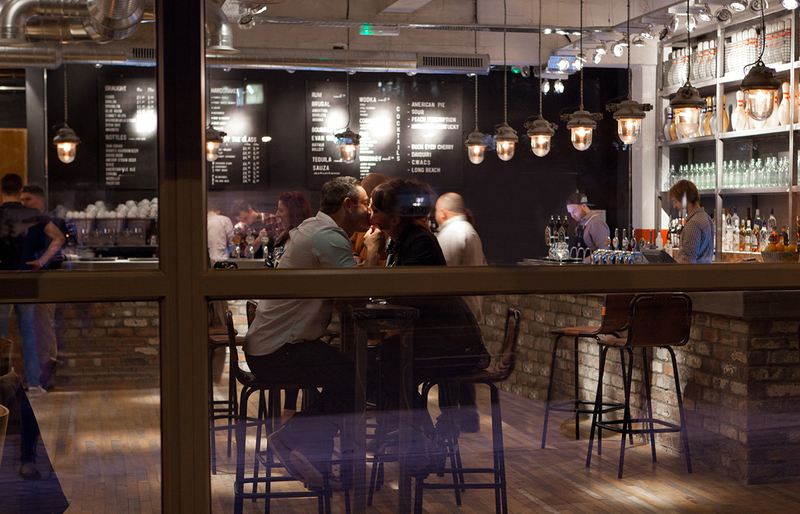 Las Iguanas started out life in a quiet Bristol street in 1991 and became something of a local institution. 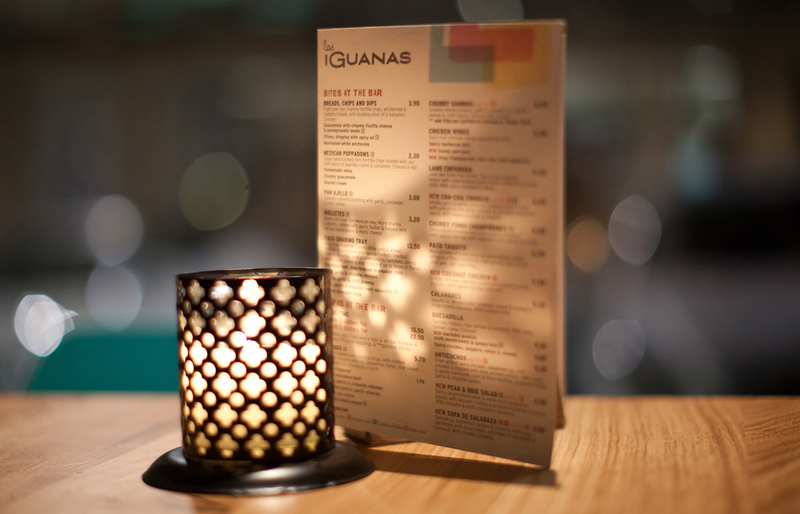 Fast forward a decade and a half, and Las Iguanas is the successful high street chain with around 50 restaurants that bring us all the intoxicating fun and freshness of the South Americas. 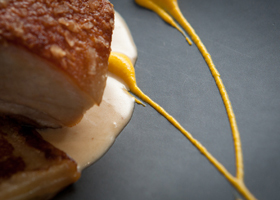 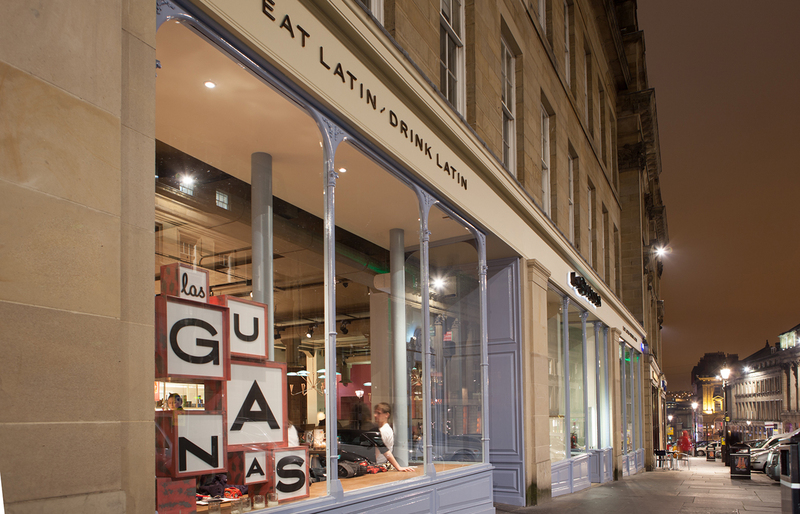 As they say themselves “our diners seemed to enjoy every Latin minute and every Latin mouthful”. 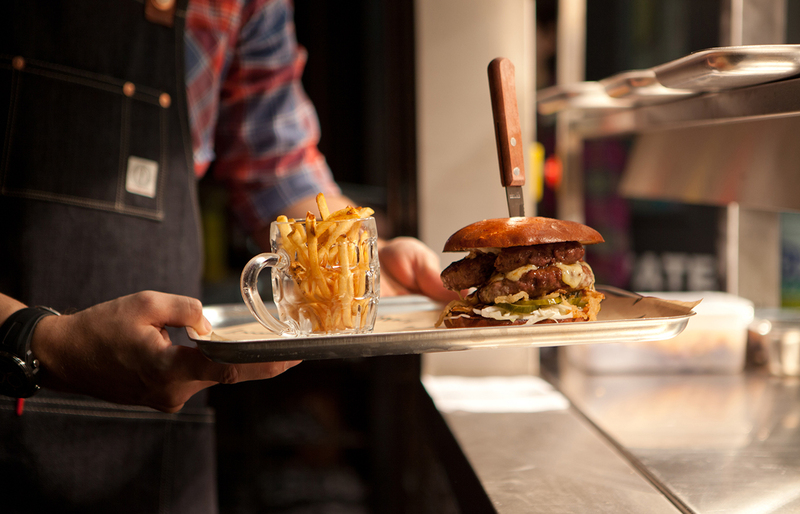 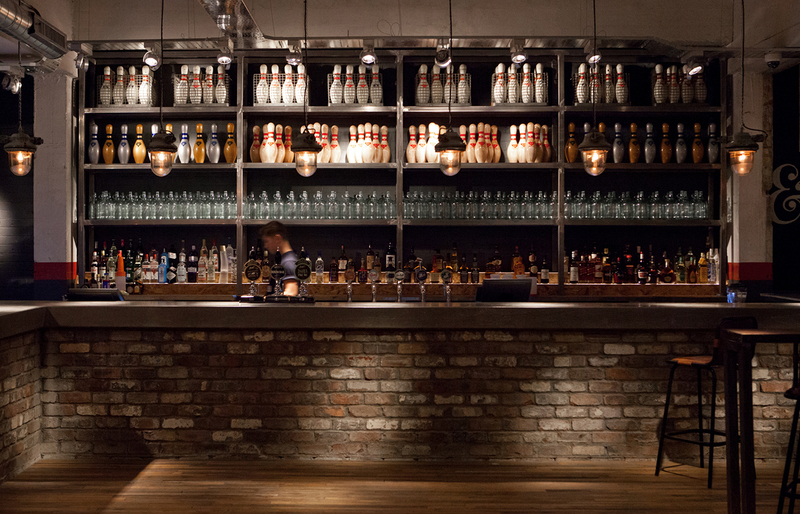 Brief: When the latest addition to the Las Iguanas family flung open its doors to the Geordie public on Grey Street, right in the heart of Newcastle’s city centre, we were there with bells on. 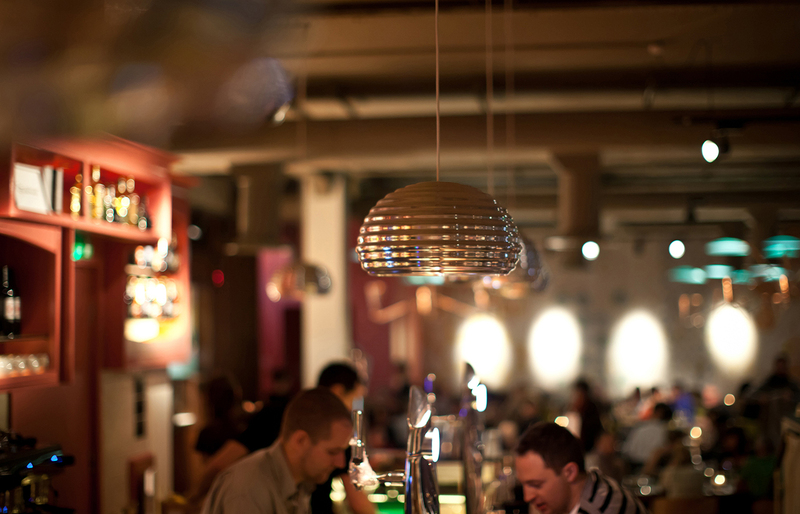 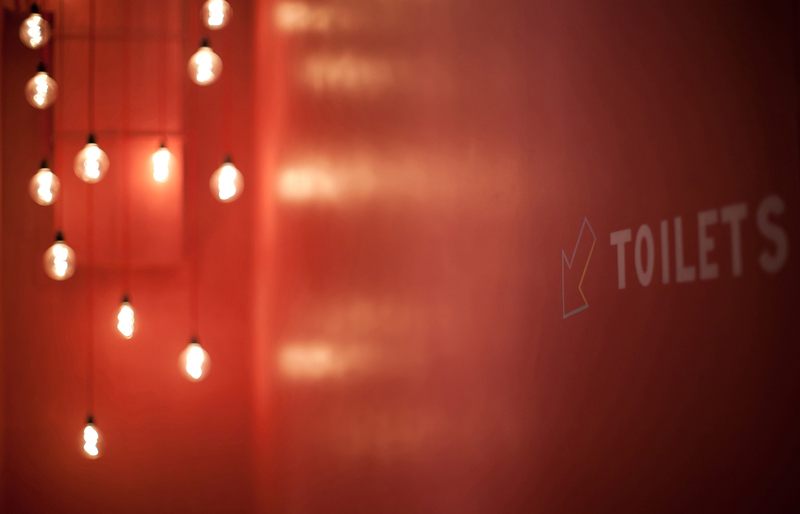 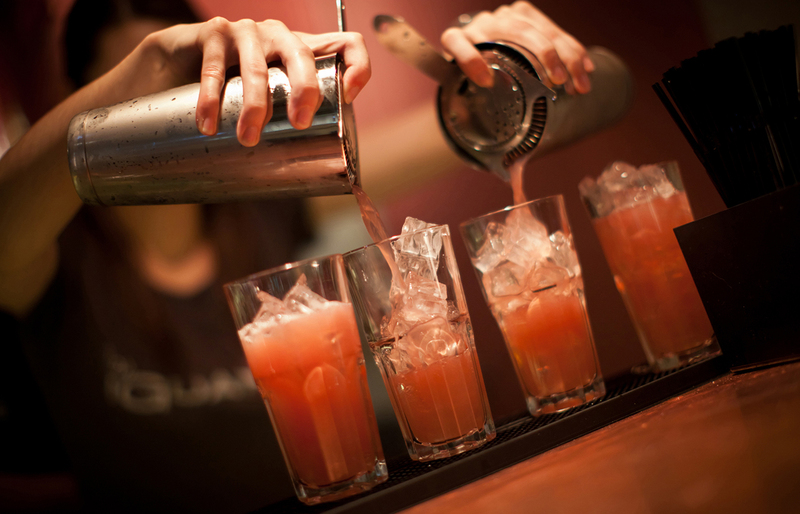 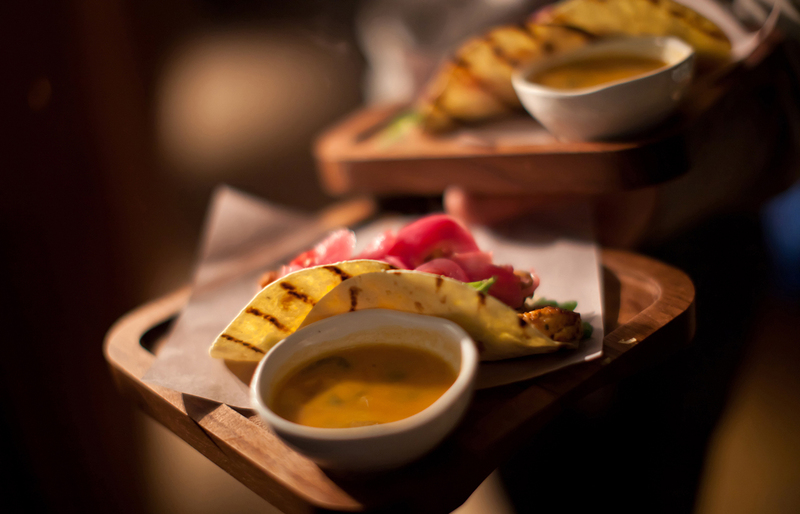 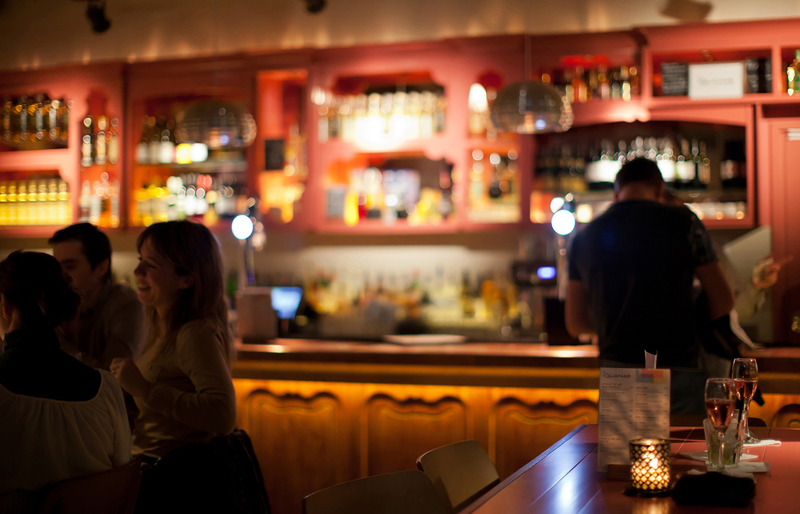 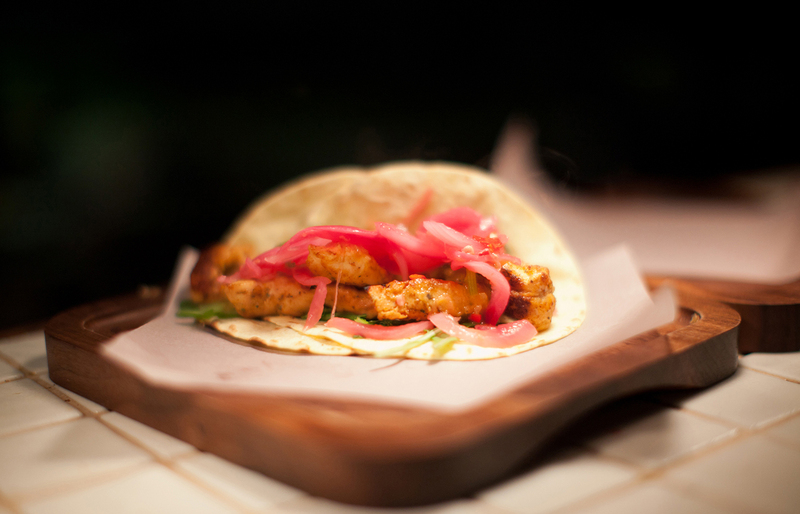 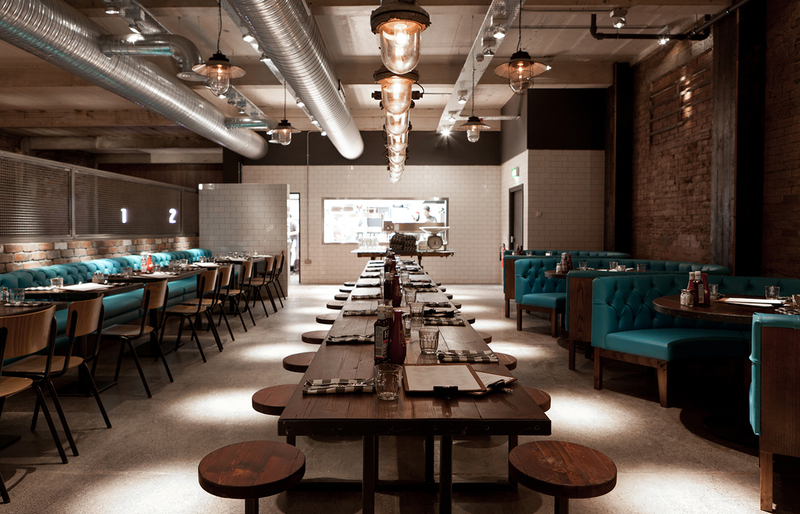 The place is everything you’d want from a Latin restaurant; lively, colourful, fun and tasty. 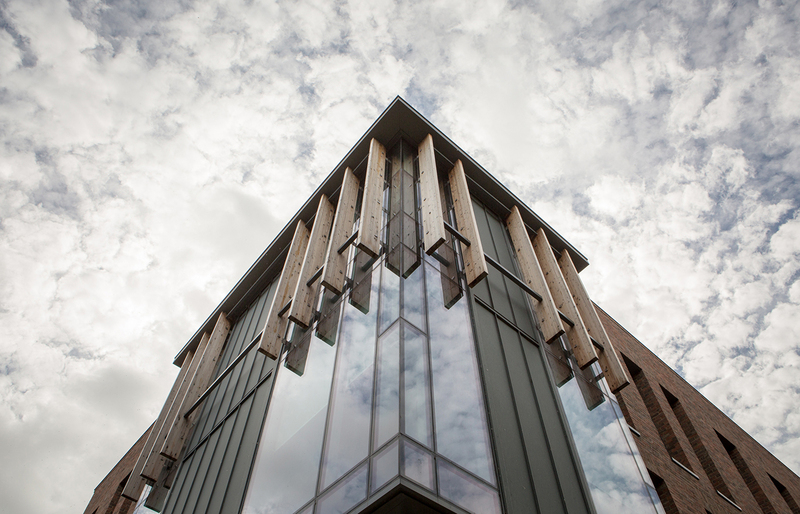 Our architectural photography project captured that feisty spirit. 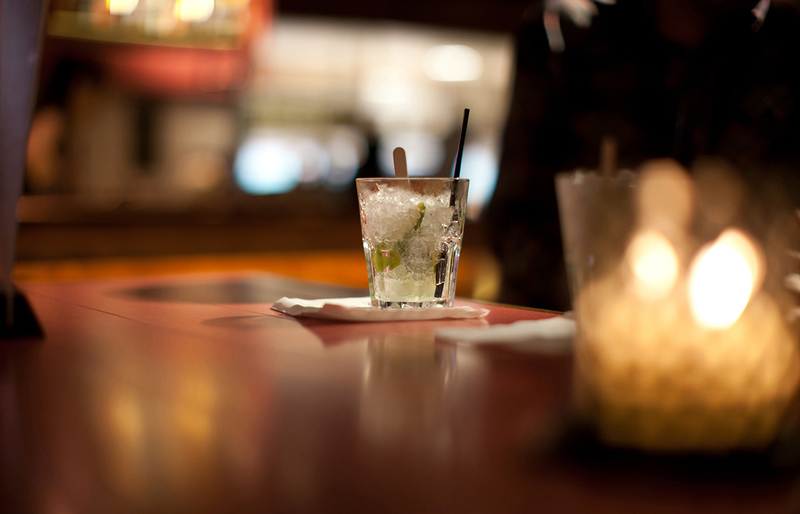 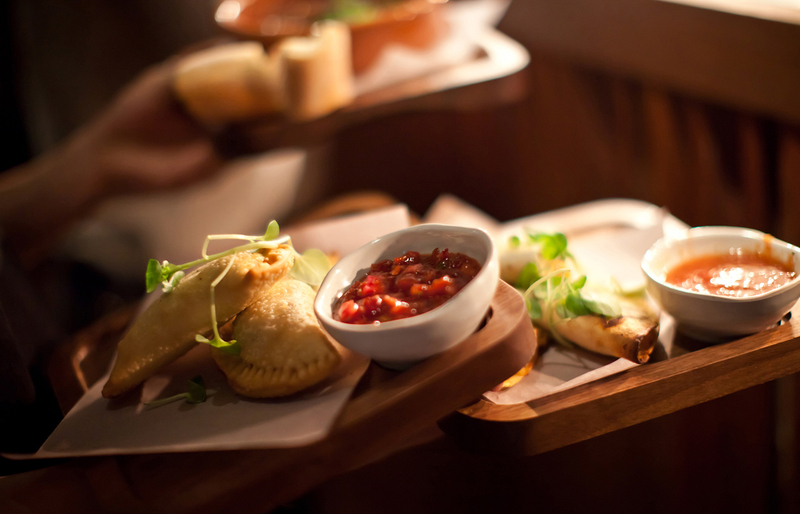 Pop in sometime and wrap your chops around a lamp empanada and wash it down with a cheeky caipirinha.